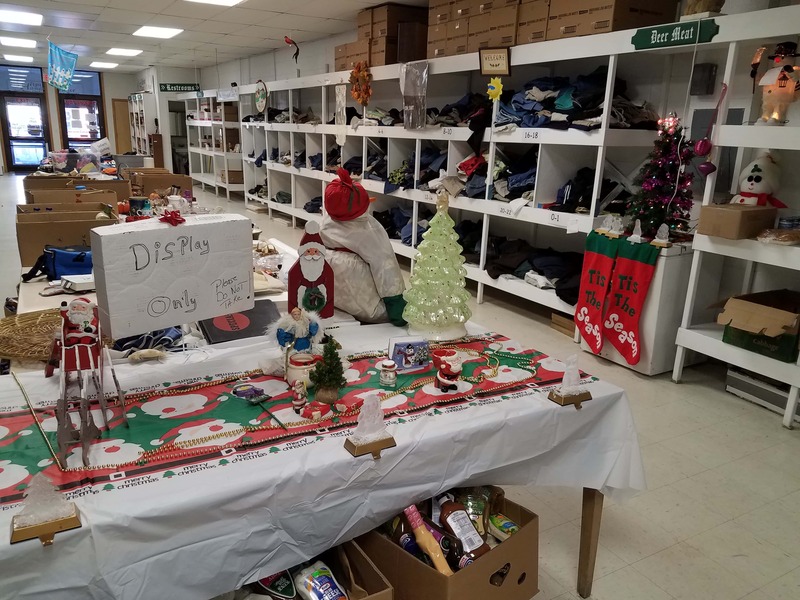 Right now, the Helping Hands shop has its usual array of items on the shelves; but on Saturday, December 15th, they’ll be filled with Christmas toys for children, and gifts for all ages. A number of items have been donated from around the community, and beginning at 2:00 p.m. that afternoon families will be allowed to go through and select from what’s available to leave under the Christmas tree. Chuck Galeazzi from Helping Hands tells KNIA/KRLS News by the time they open up on that Saturday, the shelves and tables will be filled with items ready for giveaway. “This whole thing on the 15th will be full of toys and slightly used things; we’ve got from here just to the ceiling in this closet over here full of different things. And that’s kind of our annual giveaway for people that need things,” Galeazzi says. Home-school volunteers will be in the following Tuesday to help assemble food baskets for the families Helping Hands assists, for distribution the next day. Galeazzi estimates around 500 families will be getting their help in some form or another during the Christmas season…and they have the generosity of the Knoxville community to thank for it.